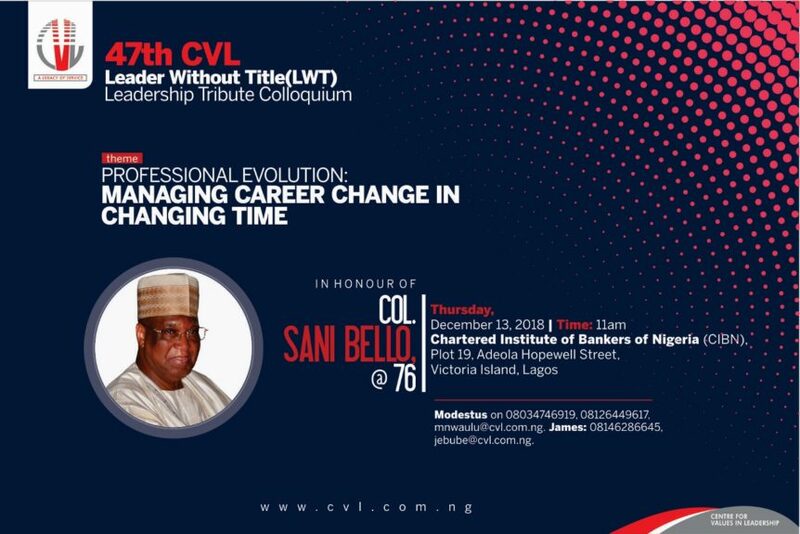 The Centre for Values in Leadership is pleased to invite you to attend the 47th CVL Leader Without Title Leadership Tribute Colloquiumin honour of Col Sani Bello @ 76 for his contributions in the development of Nigeria. CVL initiated this programme to honour outstanding sector leaders for their special contributions in the sector where they worked. This programme is in keeping with our commitment to affect the generation next to be leaders without care for title. It is an honour for people who are 70 years and above who have left a mark worth emulating. Theme: Professional Evolution: Managing Career Change in Changing Time. 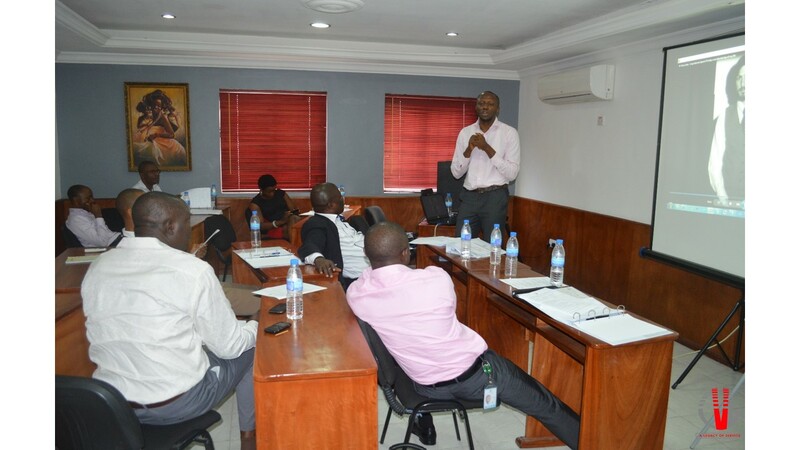 Please confirm attendance to: Modestus on 08034746919, mnwaulu@cvl.com.ng; James: 08146286645, jebube@cvl.com.ng.